Joel L. Thompson, 61, of Windham crashed his car on Brand Road shortly before 7 a.m. Monday, police say. 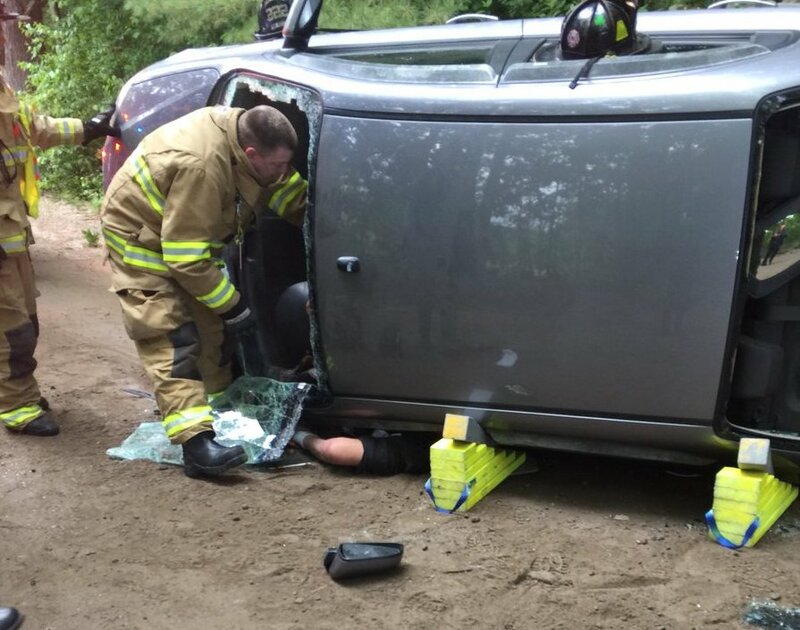 A 61-year-old man faces one count of operating under the influence after he crashed his car Monday morning in Windham, police said. Police and firefighters responded to Brand Road about 6:50 a.m. and found a vehicle on its side. Joel L. Thompson of Windham was stuck inside, sitting on the ground through an open car window but unable to climb out, police said. Firefighters removed the windshield and extracted Thompson before they transported him to Maine Medical Center with minor cuts to his hands, police said. Thompson was issued a summons for operating under the influence.